hah! 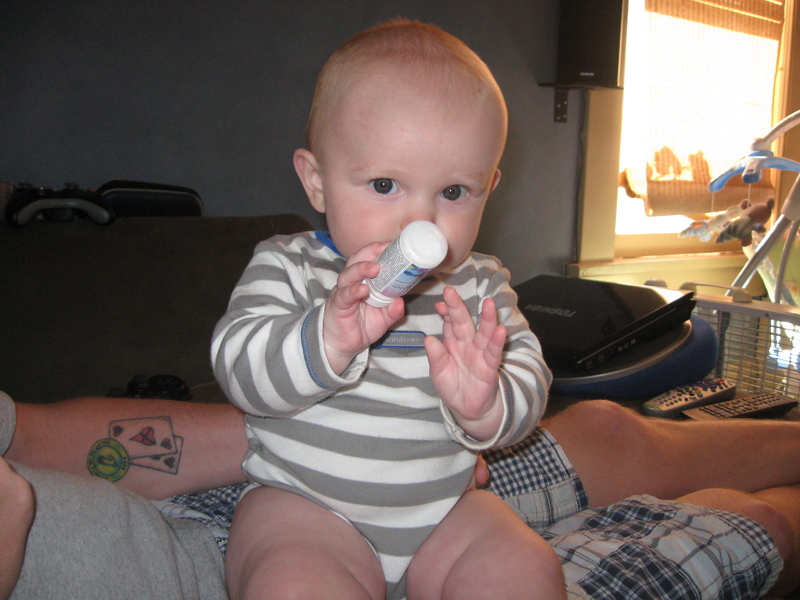 Ev likes to chew on the rubbery tops of infant tylenol bottles. And I let him. Aww, what an adorable picture of you guys poisoning your child!